Aaron Kaufman's Top 5 Favorite Cars! - Muscle Cars Zone! Aaron Kaufman’s Top 5 Favorite Cars! Just a little disclaimer before watching this video, it can and it will make you feel very nostalgic. 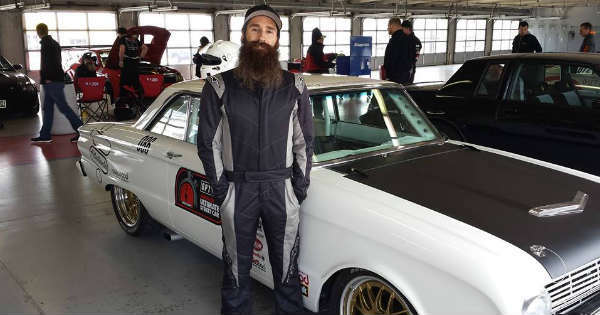 That being said, we take a look at one of our favorite TV hosts of all time, Aaron Kaufman and the time he used to be part of Gas Monkey Garage. This show made us laugh every time we watched it, but we were all devastated when Aaron Kaufman announced that he is going to depart the show. Nonetheless, we check out this video that dates back couple of years ago and we check out what are his five all time favorite cars. Even though he says that they might vary from time to time, he opens his list with the 55,56 and 57 Chevys. He simply loves everything about them. Next up we check out the 1963 Ford Galaxy. In fact, Aaron Kaufman tells an incredible story from back in the days when he actually purchased such Ford Galaxy from Richard, hence no one else wanted to buy due to the cut out roof. Of course, none list would have been complete without the one and only 1960 Impala in it. According to Aaron, you cannot argue against this car and is simply one of the most amazing looking cars of all time. It was one of these cars that got Aaron Kaufman in the business and love of old classic cars. If you want to know more and see which the other cars are, make sure to go through the whole video about his favorite cars!